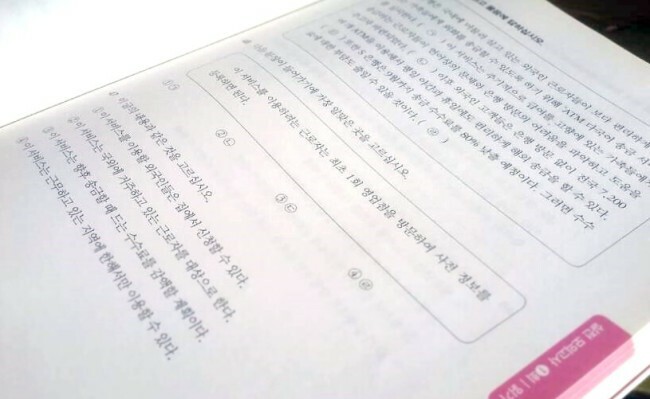 Applications to take the Test of Proficiency in Korean on Nov. 19 will open Monday. The test is available in two formats, TOPIK I, which covers levels 1 and 2, and the more challenging TOPIK II, which covers levels 3-6. The test costs 35,000 won for the TOPIK I and 40,000 won for the TOPIK II. There are 47 test centers in Korea, covering all provinces and metropolitan cities except Ulsan and Sejong. The test is also available overseas in 73 countries. Tests are on the same day in Asia and on Nov. 18 outside Asia. Applications can be made via topik.go.kr from 9 a.m. Monday. Registration is open until 2 p.m. on Sept. 13, but TOPIK II places tend to fill up on the first morning in Seoul. Those wishing to reserve such a spot can set up an account on the website in advance in order to book early on the opening morning.